This few day the weather very good when evening come sure got wind. 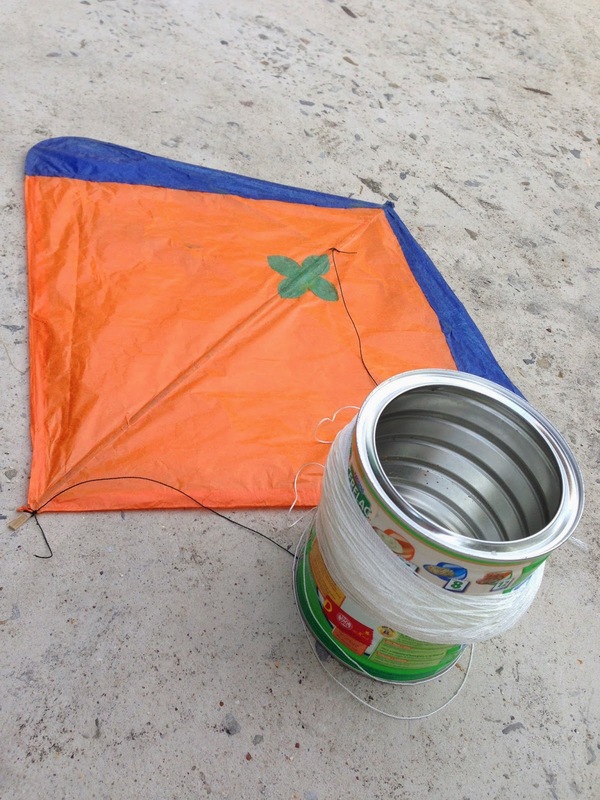 Suddenly feel want to play kite with my daughters and show them how to fly a kite. 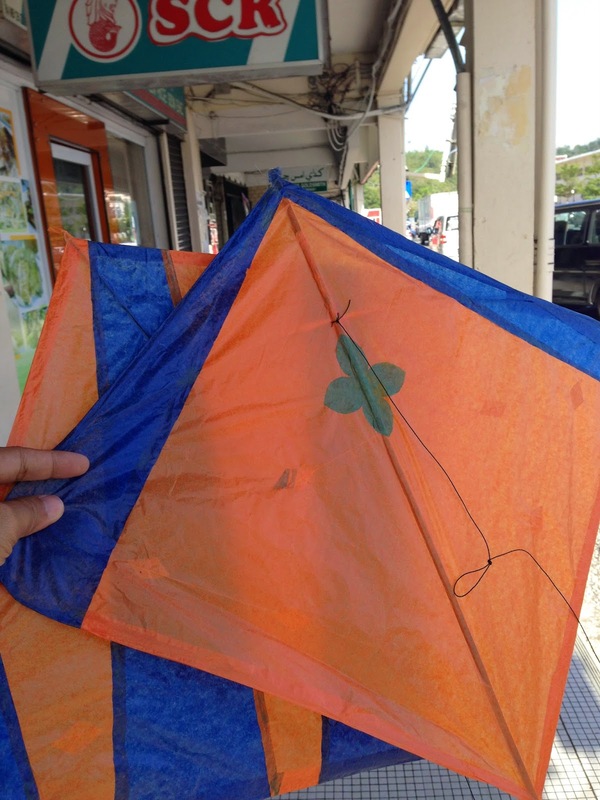 But this day want to buy the traditional kite not easy as last time, during my time we just got to Kampong Air every shop there also have. If want a good quality just booking with friends live at Kg Air already can. Now not anymore... want to find one also not easy... lucky we have social media and this can help me where to find. Yesterday I post in my FB and IG ask where can I buy one.. Thanks to the reader and they told me one of the shop at Bandar near the SCR have so I went there and I found it and I bought 2 $2.00 each. Honestly I'm not satisfied with the kite quality. It not as good as what we have last time. The bamboo not nice one... but never mind lah my mission is just want to show and play with my kids not want to have a Kite Fighting. So Kite I have now the next thing is the string.... this is a bit hard to find lah. I went to many play also cannot find the No:8 string, I went to 1st Emporium and the lady told me that No:8 string no more selling long time already. This sound like people people here also long time no using that to fly Kite too. So last last I went to a Hardware shop buy a nylon string. The whole after just go here and there... when I reach home everything is ready but too late the wind no friend me no give me a strong wind.... Aiya I have to wait for another day to play it again! Miri Also Have Sheng Rou Mian Now! Breaking News Is Not A Real News??? Help Looking For His Car!